Rialto offers discounted parking in the evening after 4:30pm and all day on the weekends at Independence Plaza. The entrance is located on Curtis Street between 16th and 17th on the west side of the street. Call 303-893-2233 for details. 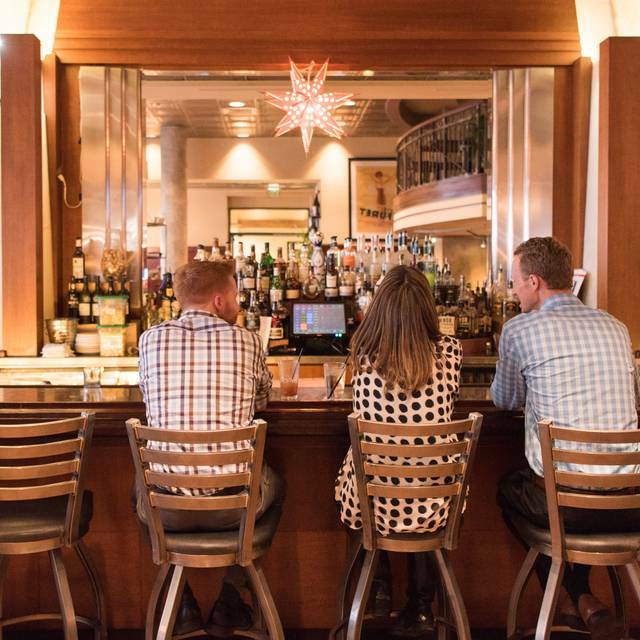 Best Downtown Happy Hour[s] Happening Everyday! 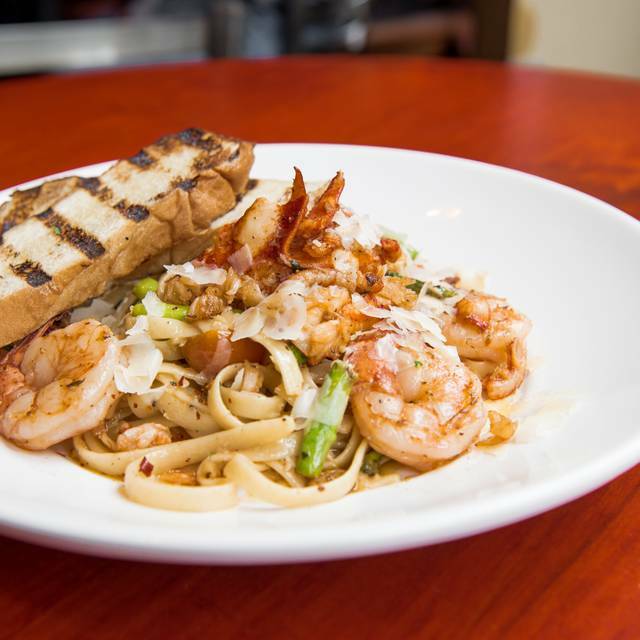 From 3-6pm we feature $5-6 Cocktails, $4 Wines & Mixed Drinks, $3 Drafts and 50% OFF Appetizers. 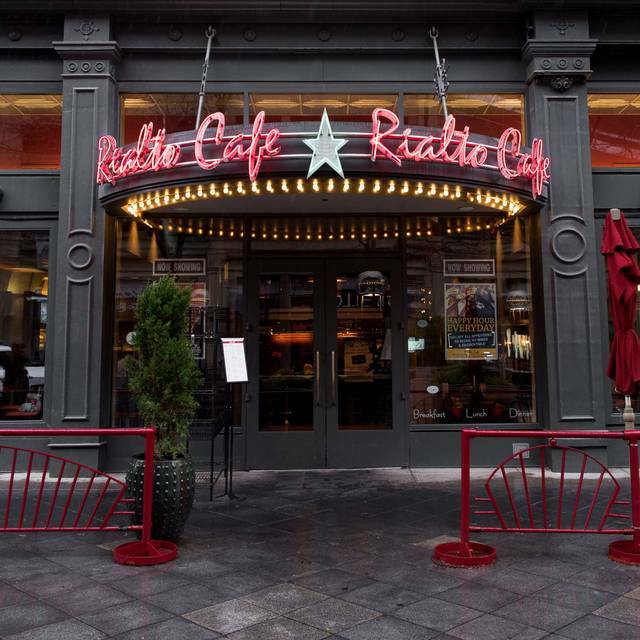 Rialto Café has space onsite for up to 200 guests. We can also deliver to your office. Call 303-260-4732 for more information. Food With Spirit. 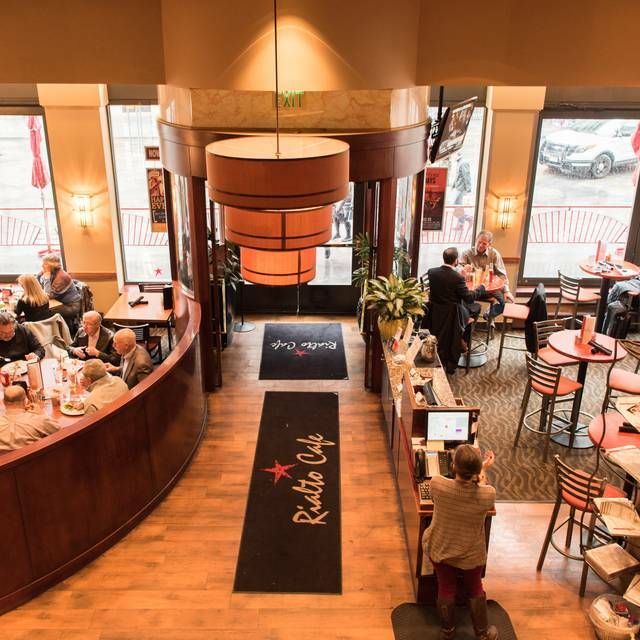 Situated in the heart of downtown Denver on the popular 16th Street Mall, Rialto Cafe is a stylish, upbeat restaurant and bar featuring expertly prepared American foods. Using only the freshest of ingredients for his dishes, Executive Chef Jacob Quintana prepares a wide variety of foods ranging from Bacon Wrapped Buffalo Meatloaf, to Grilled Scottish Salmon with a goat cheese polenta. Offering simpler dishes such as the Rialto Burger or the popular Caprese Chicken Chop Salad, Rialto Cafe can please any palate and accommodate any price range. Rialto is within walking distance of the Denver Center of Performing Arts, Denver Pavilions, Convention Center, Comedy Works, and the Light Rail. 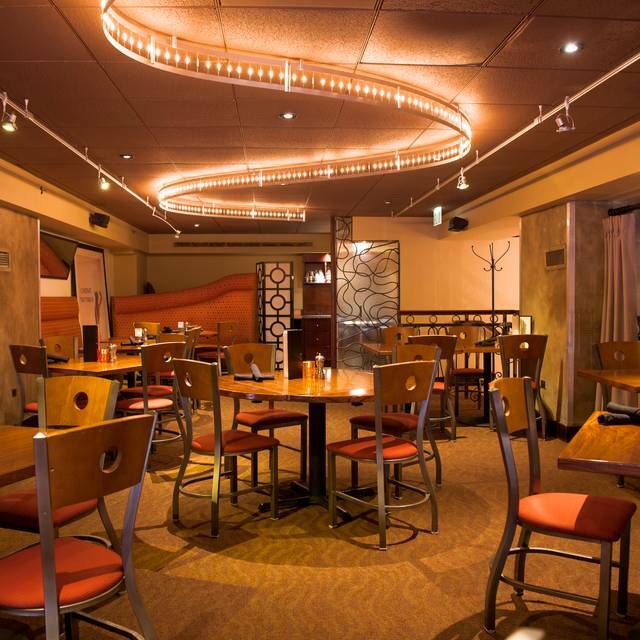 Voted "Best In Denver" in several categories, Rialto Cafe offers the ultimate Denver dining experience. Rialto also offers discounted parking for night and weekends. Call for details. We had the bison meatloaf which was delicious - a true ‘comfort’ meal. The wine list had great selections at reasonable restaurant prices. Service was attentive but not intrusive. It was slightly confusing to find since Google lists the front door address as the hotel front door address, I believe? But other than that, the meal was great! We showed up slightly earlier than anticipated and were seated immediately (with a reservation) . The happy hour was about to end, so our waitress made this abundantly clear and ensured that she got our order entered in time for us to receive the happy hour discounts. Despite being very busy, she was very friendly, warm, communicated clearly, and made the experience a memorable one. I believe her name was Maxcine - definitely one of the best experiences I've had with a wait staff member. In addition, the food was delicious and there was hardly a wait time! Do not pass up the Tower of Truffle Fries - the size fits the name and they are absolutely mouthwatering. Rialto is a place you can count on. Rialto has been around for many years and is very dependable and predictable. It's a good place for business lunch with good food, not outstanding. It all started with me being 3 minutes late to my reservation and getting a call from the place to see if we were still coming. I was literally across the street waiting for the light to turn so I could walk across 16th street. Maybe give at least 5-10 minutes before calling since parking is hard to find in the first place. The service wasn’t good at all, I said I wanted one mimosa but ended up being charged for bottomless. I had questions about allergens in the pastry buffet but the servers response didn’t make me feel ok that I was able to eat it. She seemed unsure of her answer. I ordered the breakfast burrito which was huge but it was mostly eggs with a very little amount of other toppings like chorizo. I ended up picking out most of the eggs. The potatoes were delicious though! I would try this place again but maybe for lunch or dinner, definitely not breakfast. My husband and I really enjoyed our dinner at Rialto. Since we were going to the theater after dinner, our server suggested we take advantage of the 3-course special priced dinner. The entire meal was delicious! The house salad and homemade cornbread were tasty. I had the salmon which was tender and flavorful. My husband loved the hearty bison meatloaf. For dessert, we had an eclair and lemon bar which were delectable! The server was friendly and helpful. Great place for a pre-show dinner. They have a nice offer for those attending the theater - show your tix and get 10% off your bill + free parking. The food is very good. Service was slow, but the waiter did make sure we were served in time to make the show. It's pretty loud in there, though. I don't enjoy "energetic" acoustics. It makes it difficult to carry on a conversation and relax during a meal. Great pre-concert restaurant. We enjoy the happy hour menu. Great waiter. Service was excellent. Food was appetizing and good sized portions. Little on the noisy side. Our group of 6 loved the meal prices, our server Steve, and the all you can drink mimosa bar! 5 stars!! We absolutely love this place! Food is great, service is wonderful! It is a lively place. 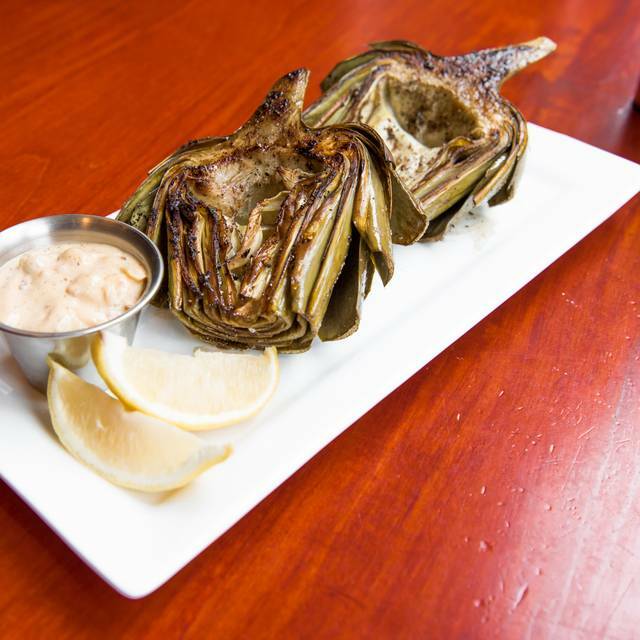 Consistently great food and great service. Easy to make reservations and we are always seated on time. Great drinks. Food was pretty good too. Service was great! Would definitely go back. We went before theater and had the theater special. We liked it, except for the desserts and no chocolate for a choice. The banana cream looked strange and didn’t taste well. Really wanted a chocolate choice. Our service from Anna was great and the rest of the food was good. We had to ask for the very loud music to be turned down. The server was absolutely awful. Phony, incompetent and overwhelmed. Very different than previous visits to this fine restaurant. Service was bad, one waiter for the whole 2nd floor. My husband and I are Vegans, options are limited and the black beans,quinoa and kale was not that good. The Arnold Palmer I ordered was the worst. Our first time for brunch ! Wonderful food and great service! We’ll go again! Superb before musical dinner. Excellent service, great American fare, wonderful specials and cocktail menu. We arrived early and were lucky to get a high-top in the bar area for a couple of drinks. Precisely at our reservation time, we were seated in a roomy booth and were very pleased to have our favorite waiter, Ben. We ordered from the regular menu and our meals were served promptly and steaming hot. They were delicious. As DCPA season ticket holders for years, we've tried lots of downtown restaurants. We always keep returning to the Rialto. 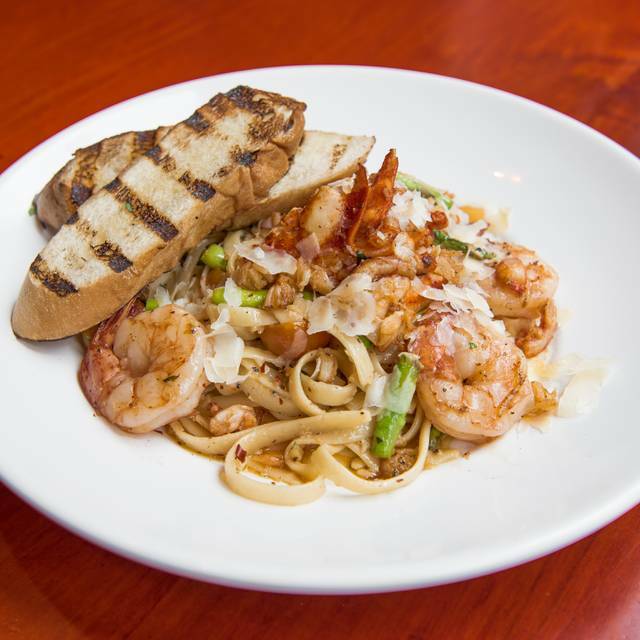 It is convenient to the theater and has reliably great food and friendly service. We have been eating here several times a year for several years. The food is consistently very good as is the service. The filet mignon nachos are a good starter that should be shared. A good wine list by the bottle, but a bit limited by the glass. 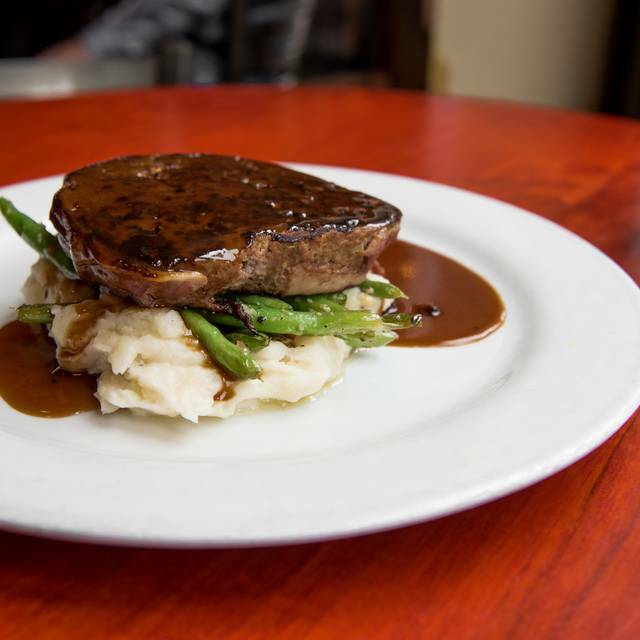 This last trip I had the bison meatloaf that was cooked to a perfect texture and the sides, mashed potatoes and green beans, were done just right. My wife had the seared albacore tuna salad entree, which she raves about. The only nit I pick with the staff is table reservations are not always honored. We have a favorite table that we always ask for and we arrive before 5:30, but too often the table is already occupied. We visited the Rialto Cafe on Saturday March 30th 2019 for a “Special Dinner” before the symphony. Sad to say I was disappointed... Food was Okay, but sub par for the price. I guess if you think Hotel Restaurant + Downtown close to DPAC it explains the price. Service was pretty good and our waiter was friendly. This may be one of the best options close to DPAC and I’m not saying I wouldn’t eat here again, but I’d keep your expectations on the lower side. Excellent meal all around. The portions were just right, not too big, and the drinks were good and strong. I already have recommended the Rialto Cafe to friends and family and will continue to do so. Was recently in Denver for a trade show. Without a car, we were pretty much confined to the 16th Street corridor, which abounds with moderate and fast food chain restaurants. I always try to frequent local businesses so I booked a table at the Rialto Cafe. What a serendipitous find! We had a lovely dinner. 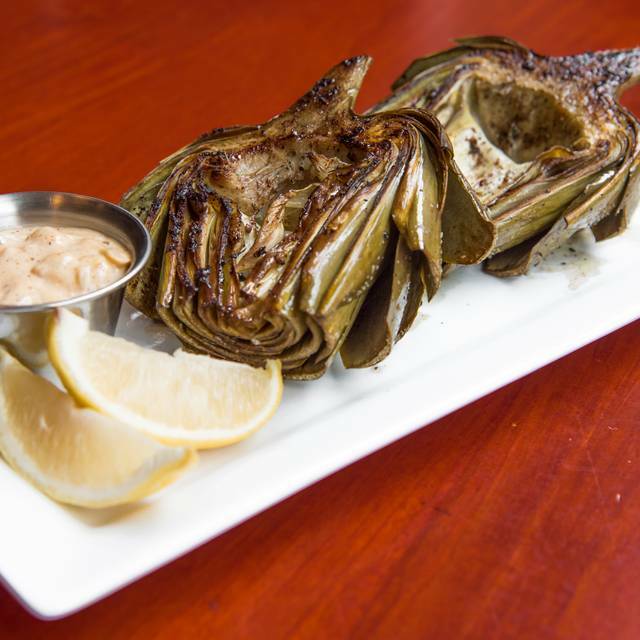 The restaurant itself is charming with an old theater vibe that spills onto the street. We were seated promptly and the service was attentive without being intrusive. The menu truly has something for every taste; salads, sandwiches and homey favorites like meatloaf. I had a chicken pot pie which was an interesting take on the classic. It was thickened with mashed potatoes and had a crispy puff pastry lid. My coworker raved about the roast beef sandwich and my sister loved the kale and chicken salad. The corn muffins deserve a special shout out - they were delicious and substituted for dessert. I will definitely dine at the Rialto again when I return to Denver. Had Ben as our server for the third time. He is very good. Fast service and delicious food. Sam was my server and was amazing! Definitely ask to sit in her section. Great attitude, great attention, all around all star. First time and we loved it! We will be back! Our waiter Steven made the experience that much better. Steven took pride in his job, knew the menu, knew what to order and had a great personality! The food was amazing. We are so glad we tried it and we will be back and highly recommend! We went for brunch and the service was great and they were very accommodating for my gluten free needs. Food was excellent And the service was attentive. They were aware that we were going to a show afterwards and accommodated us with timely service. One of the few great restaurants left on the 16th Street Mall! in advance so that we got the wobbly table and great view of the bathrooms with everyone coming and going there right past our table. In the future ( IF) we will be sure to ask for a real table in the restaurant when we are spending our eating out dollars. Was still reading the wine list on the show menu when the waitress snatched it out of my hands. Steven was our server, and even though it was a busy day, he still made us feel welcome, we went for my best friends birthday and he made it special!! Huge thanks to him for being amazing! Great for brunch on Sundays.